It’s been a hard choice when putting this top 100 together to chose between the more obscure tunes and the huge hits of the genre. I’ve avoided some of the anthems, not because they’re not great records but because it’s hard to get excited about a tune you’ve heard hundreds of times and that have appeared on literally dozens of compilations. There have to be exceptions though and this is definitely one of them. The tune that launched a thousand versions…a timeless classic. It’s available on dozens of Heartbeat and Trojan compilations. What more needs to be said? The Uniques take For What It’s Worth by Buffallo Springfield and make it their own. Once again the talents of Slim Smith shine through. 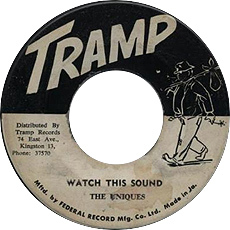 This was produced (or at least funded by) Winston Lowe and released on his Tramp label in Jamaica, it was picked up by Trojan in the UK. Lowe was a friend of Bunny Lee from Greenwich Town in Kingston. Watch This Sound is available on the Pressure Sounds CD; The Uniques – Watch This Sound (PSCD 21). 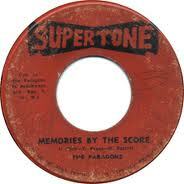 Whilst their classics for Treasure Isle are the best remembered Paragons rocksteady sides they still found time to go it alone with a small number of releases on their own Supertone label. Memories By The Score may not have the status of the huge hits such as On The Beach or The Tide Is High but its every bit as good. Memories… is available on the Trojan compilation Let’s Do Rocksteady: The Story of Rocksteady 1966-68. 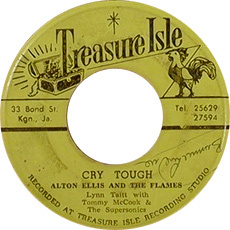 Though the likes of Slim Smth, Ken Boothe and Derrick Harriot were all undisputed top rank singers in the rocksteady era, the man who dominated the genre so much that his name pretty much sums up the music was the mighty Alton Ellis, his body of work at Treasure Isle is peerless. Cry Tough is another of those Rocksteady anthems that you’ll hear quite a lot. Fortunately when it’s as good as this the experience is always a pleasure. It’s currently available on the Heartbeat CD; Alton Ellis – Cry Tough (CDHB 106). What would rocksteady have been like without the monumental influence of the Impressions and specifically the mighty Curtis Mayfield? Though the influence of Curtis went far beyond cover versions of his songs, a Jamaican interpretation of one is always worth checking out, at the very best they took something that was already great and made it truly sublime. 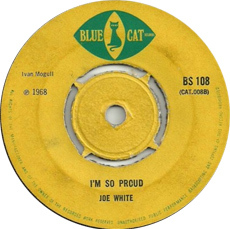 One such example would be I’m So Proud by Joe White for producer Charles Ross. Joe White is perhaps best known for his melodica sides in the 70’s but his vocal sides both as member of the Leaders and as a solo artist seldom disappoint. I’m So Proud is available on the Various Artists compilation; I’m So Proud: A Jamaican Tribute To Curtis Mayfield on Trojan (CDTRL 376), it was also reissued on a limited edition vinyl 7″ by Rock A Shacka in 2009. On the subject of the Impressions trust Studio One to push the boundaries just that bit further still and give us something that is truly a masterpiece. It says a lot about the set up that Coxsone Dodd created at Brentford Road that a group of unknowns such as the Minstrels could come in and create vocals like this, you can’t help thinking that even Curtis would have been impressed. 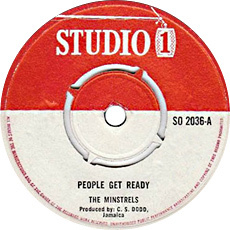 People Get Ready is on the Heartbeat compilation Mojo Rocksteady (CDHB 134). 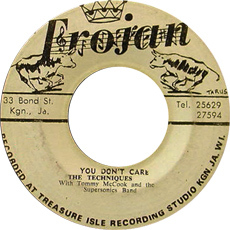 This wasn’t Johnny Osbourne and the usual suspects as is sometimes supposed but a group of unknowns who visited the studio’s of Kingston just a handful of times but still managed to create some of the greatest and most haunting rocksteady harmonies. Coming On The Scene is a monster tune of almost mythical status, anything by Johnny And The Attractions is a guaranteed scorcher but this is their finest moment. 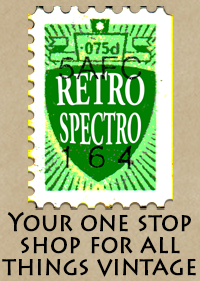 Originally issued on a Gayfeet 7″ in Jamaica and on Doctor Bird in the UK. 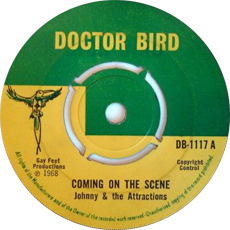 This was re-issued by Trojan on a 10″ with three other essential Johnny And The Attractions tunes in 2004. 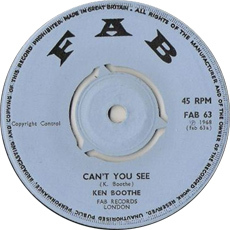 Boothe was another of the top rank of singers in the Rocksteady era, Can’t You See won’t compete in the popularity stakes with some of his Brentford Road smashes but for heartfelt raw emotion it’s up there with the best of them. With an infectious bassline that made this one of reggae’s greatest ever rhythms, Solomon is as much about the rhythm as it is about the superb voice of Derrick Harriott. The song takes as it’s theme the biblical character King Solomon of Israel who was, as the song tells us, “the Wisest Man”. Harriott comes across like is a story teller in this tune which is all the more remarkable when you consider there is only really one verse that is repeated three times. Great stuff! 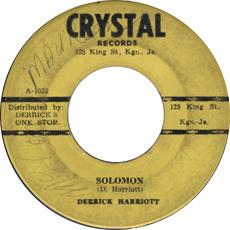 Solomon was issued on the Crystal label in Jamaica and on Island in the UK. It is currently available on the Trojan CD; Derrick Harriott’s Rocksteady Party (TJDCD 310). Continuing the rocksteady preoccupation with heartbreak Lonely Heartaches finds Peter Austin and Ernest Wilson, collectively known as the Clarendonians, at their very best. The Clarendonians were hugely successful in the rocksteady period and before. Their releases for Caltone whilst not their biggest hits are easily some of their best tunes (see also No 100). 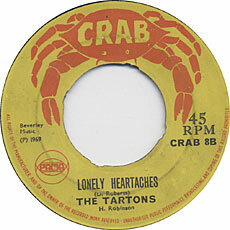 The UK release of Lonely Heartaches was on Crab (where it was miscredited to the Tartans) and came out in 1969, a year or two after the tune was recorded. 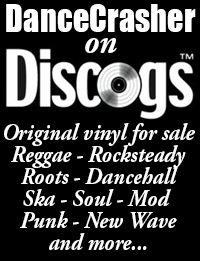 It is currently available on the Rocksteady Rarities Boxset on Trojan (TJETD299). Johnny & The Attractions is on Trojan Rock Steady Rarities Box Set (2005).